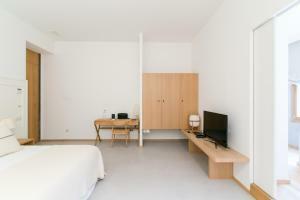 Including a free breakfast buffet, Hotel Margot House is located in Barcelona. 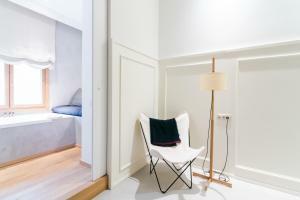 This hotel is set in front of Casa Batlló, at number 46 in a residential building in the heart of Passeig de Gracia. Passeig de Gracia metro station is in front of the hotel and Sagrada Family is 3 metro stops away. Each room at this hotel features modern décor and hardwood floors. They include a flat-screen TV, safe, iPod dock, air conditioning, and heating. 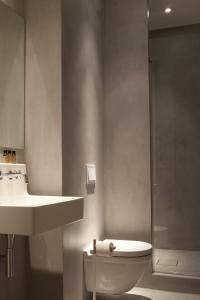 The private bathroom comes with a bath or shower, hairdryer, slippers, and free toiletries. The property has a 24-hour front desk, games room, and library. Laundry and dry cleaning services are available, and a shuttle to the airport can be arranged for an extra charge. 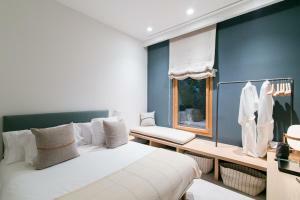 Plaza Catalunya and Las Ramblas Boulevard are less than 10 minutes away on foot. An intimate 24 m² interior room with a 1.60 cm × 200 cm bed, this room features modern décor and hardwood floors, a flat-screen TV, safe, iPod dock, air conditioning, and heating. The private bathroom comes with a bath or shower, hairdryer, slippers, and free toiletries. Rate: € 189.00 ... € 345.00; select dates below to get current rates. A cosy 22 m² interior room with a 1.80 cm × 200 cm bed, this room features modern décor and hardwood floors, a flat-screen TV, safe, iPod dock, air conditioning, and heating. 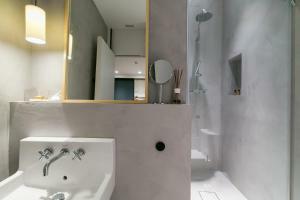 The private bathroom comes with a bath or shower, hairdryer, slippers, and free toiletries. Rate: € 220.50 ... € 345.00; select dates below to get current rates. A spacious, yet intimate 40 m² interior room with a 200 cm x 200 cm bed, this room features modern décor and hardwood floors, a flat-screen TV, safe, iPod dock, air conditioning, and heating. 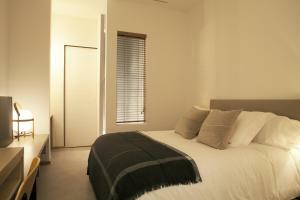 The private bathroom comes with a bath or shower, hairdryer, slippers, and free toiletries. This room includes an extra large bed. Rate: € 233.75 ... € 345.00; select dates below to get current rates. This features views of Gaudi's Casa Batlló, modern décor and hardwood floors, a flat-screen TV, safe, iPod dock, air conditioning, and heating. 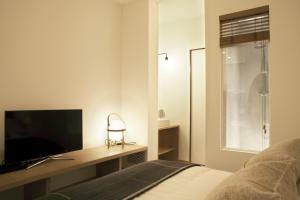 The private bathroom comes with a bath or shower, hairdryer, slippers, and free toiletries. This room includes an extra large bed. Rate: € 254.15 ... € 359.13; select dates below to get current rates.